McAllen, TX—Ah, the sweet smell of a successful event! Especially so close to the holiday season—what a great way to end the year! 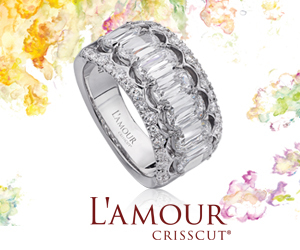 The Centurion spoke with Saul Sanchez and Carlos Melguizo of CARATS Jewels - Living - Gifts, McAllen, TX, about two of the store’s most successful promotions. “We had a Roberto Coin event last November,” said Sanchez, who says that was the store’s best promotion in 2018. 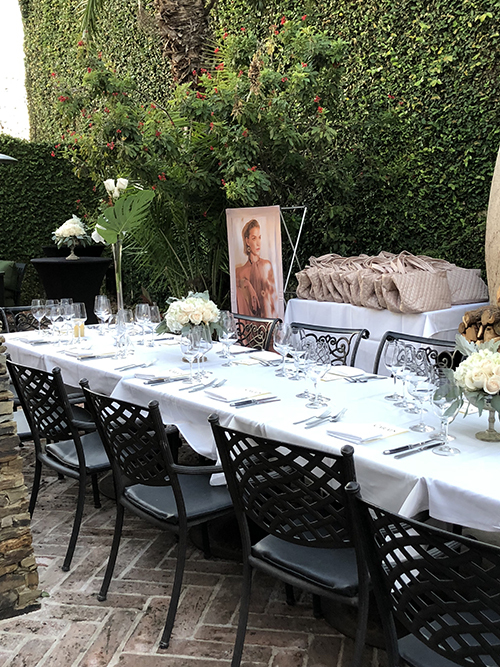 The event was well-planned: initially the plan was to invite 30 customers for an intimate dinner and evening with Melguizo and Sanchez, CARATS staff, and special guest Peter Webster, president of renowned Italian jewelry brand Roberto Coin. Instead, at the last minute, the guest list was doubled! “The weather was spectacular that day,” said Sanchez. As a result, the restaurant was able to accommodate 30 more seats. The event was hosted at the upscale Santa Fe Steakhouse, where the chef prepared a gourmet Italian dinner with wine pairing for the night. He was able to quickly expand the guest list to include 60 excited customers, and even those invited at the last minute were happy to attend. Good weather meant the CARATS event could move outdoors and twice as many customers could be invited. The CARATS team worked from a specific list: the invitation did not go to all customers—or even all high-spending customers—although word had spread of the event throughout the community. Instead, the team targeted customers that were right for the brand. “We invited people who already love Roberto Coin jewelry as well as those who we knew would fall in love with his pieces,” said Sanchez. 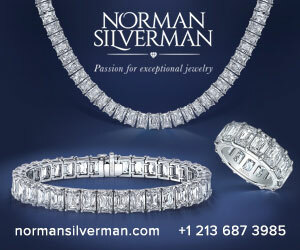 The setting was perfect, from the weather to the saxophone player outside to the displays of Roberto Coin jewelry. And of course, there were also very nice swag bags for attendees, complete with a Roberto Coin umbrella inside. Not, thankfully, that it was needed that evening! 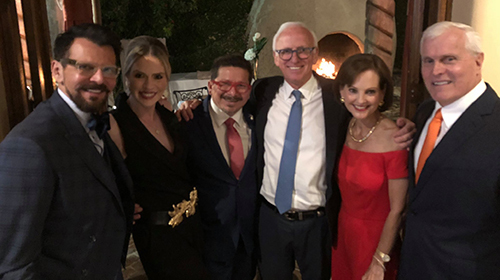 From left: Carlos Melguizo, Natalie Buentello, and Saul Sanchez from CARATS; Peter Webster, Roberto Coin; with customers Lynn Spence and Dr. Alan Spence. The steak dinner was not the only time that Sanchez and Melguizo spent with Roberto Coin last year. They, along with two top customers, were invited to spend four days in Venice, Italy. “We stayed at the Hotel Cipriani. 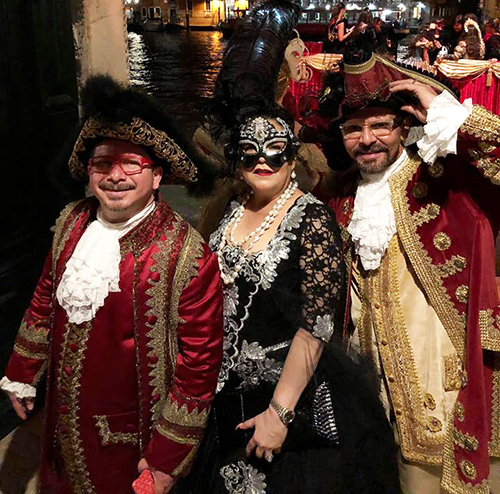 It was a great trip for all of us, the highlight for the trip was a spectacular Venetian Carnavale Party,” says Sanchez. Sanchez and Melguizo with a customer at Venice's Carnivale. Another successful event in 2018 was the trunk show featuring Parisian designer Messika. “Valerie Messika has a collaboration with [supermodel] Gigi Hadid,” said Saul. Hadid, one of the world’s top models, is the company’s spokesperson and co-designs a collection with Messika. It’s a line geared to—and successful with—Millennial and other young-at-heart consumers. “It’s more trendy and edgy. That’s what our customers liked about it. We try to feature one new line a year and that was [the one] for 2018,” says Sanchez. Supermodel Gigi Hadid is both the face of and a design collaborator for Messika.